Simplex can create a custom tuned controller for most devices and software that operates alone or with other software. Contact Simplex Sales for information. 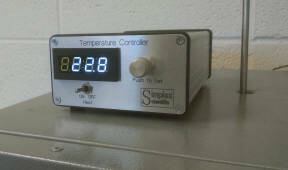 Simplex supplies a number of temperature controllers for different accessories and devices. Most controllers are 24 volt DC able to operate on standard AC voltages from 100 to 240 volts for operation worldwide. Simplex USB controllers are compact to save lab space and all come with TempSet windows based software for easy operation without the need to learn a complex button / menu system typical of most controllers. All Simplex controllers are compatible with TempProfile for programmed temperature control. Simplex offers stand-alone Temperature controllers and Temperature modules, in custom configurations for OEM, applications. Contact Sales to discuss your application. version is about the size of a DVD. 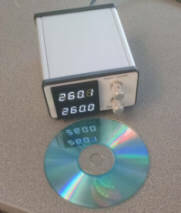 Compact 110 - 240 AC Temperature controller up to 1650 watts for manual or computer control.